Josh Adams led Warriors to a memorable bonus point win with a second half hat-trick of tries which capped an outstanding team performance that brimmed with passion. It was an 80 minutes’ display that was reminiscent of the crushing of Bristol at Sixways in October and helped Warriors to open up a seven points gap on bottom club Newcastle Falcons. Adams hat-trick was only the second for Warriors in the Premiership, emulating his wing-mate Bryce Heem who first achieved the feat against Northampton Saints in November 2017. Warriors were in control, easing into a 17 points lead, then resisting Sale’s attempt at a comeback before finishing in style with Adams crossing for his hat-trick try two minutes from time. 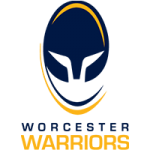 Warriors’ other tries came in the first quarter when they went 17 points up in as many minutes and they might easily have scored a sixth after Heem and Francois Venter, who formed a destructive midfield pairing, almost put Chris Pennell over from another sweeping attack. Relentless early pressure pinned Sale in their own half and kept them there. There appeared to be nothing on when Warriors won a scrappy lineout on Sale’s 22 and Sam Lewis seemed surprised when a gap opened up to allow him to power over for an opportunist try. Duncan Weir added the conversion and then tagged on a penalty after Sale infringed under pressure. Warriors kept their foot on Sale’s throat and another sustained attack saw Heem and Pennell combine superbly with the full-back slicing through for the try which Weir again improved. 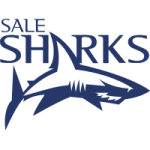 The penalty count then turned against Warriors for a time which allowed Sale to kick to the corners and use their driving lineout to pin them back. Warriors defended tigerishly but the pressure eventually told and josh Beaumont ploughed over for a try that AJ MacGinty improved. Warriors regrouped and ended the first half on the attack but a forward surge from a lineout was checked by Sale who held up the driving maul. Weir kept the scoreboard ticking when he banged over a penalty early in the second half although it was soon cancelled out by one from MacGinty. But Warriors always looked the most likely winners and their patient approach work produced an excellent team try that set up Adams for his first with Weir converting from the touchline. Another sustained attack stretched Sale in defence and Adams supplied the finish to secure an important bonus point. Sale hit back when Matt Postlethwaite went over from a charged down kick and MacGinty converted but the result was never in doubt and Adams started joyous celebrations when he went over for his third which Weir converted from far out. The win capped a day to remember for Marco Mama who captained Warriors for the first time on his 50th appearance for the club. Warriors | 15 Chris Pennell, 14 Bryce Heem (Howe 78), 13 Francois Venter, 12 Ben Te’o, 11 Josh Adams, 10 Duncan Weir, 9 Francois Hougaard (Heaney 63), 1 Ethan Waller (Black 73), 2 Niall Annett (Singleton 67), 3 Nick Schonert (Milasinovich 65), 4 Anton Bresler (Kitchener 63), 5 Darren Barry, 6 Marco Mama (C), 7 Sam Lewis, 8 Cornell du Preez (Hill 69). Replacements | 16 Jack Singleton, 17 Callum Black, 18 Gareth Milasinovich, 19 Andrew Kitchener, 20 Ted Hill, 21 Michael Heaney, 22 Jono Lance, 23 Tom Howe.